The Salon at 10 Newbury is dedicated to providing its clients with both contemporary and classic looks, while keeping with the all current trends and techniques of hair cutting and coloring. 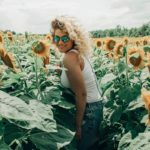 We are highly skilled professionals with numerous years of experience, up-to-date education, and a vast repertoire of beauty techniques. We offer an array of color and cutting services for women and men, including color melting, hair painting, balayage, dry cutting, razor cutting and more! We are a CRLab Trichological Certified Center that offers products and treatments to help you restore beautiful hair. As part of our process, you will receive a complete scalp and hair health check so that we can establish the best combination of clinically tested products to improve your scalp’s circulation and boost hair growth. 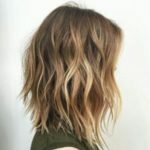 Mastering all of the latest hair trends and techniques, we provide clients the best cuts in Boston. At Salon at 10 Newbury, we take pride in using the best processes and products when coloring your hair. Using only the highest quality hair care products, we provide clients the best hair styling in Boston. With balayage highlights, we hand paint your hair for a natural, diffused “sun-kissed” highlighting effect. Based on your own specific hair and scalp needs, our professional stylists will take the best care of you! We are an authority on hair extensions in the Boston area, offering clients only the very best extensions. On the most important day of your life, expect to receive professional care for your wedding hair style. We offer a complete high end salon experience that includes high quality human hair wigs and hairpieces. The place to get your hair done in Boston! Everyone is professional and you leave looking beautiful.